Thank you for your amazing support! We depart Ushuaia this afternoon (31.12.18) for Antarctica! We'll be sailing across the Drake Passage on New Year's Eve! I depart today so postcards are closed! It's not too late to pick another perk. Thank you for your support! Thank you to everyone who participated in the silent auction, attended the trivia night, or donated prizes/ items for the silent auction! The event was a fantastic success - lots of food, fun and friends! Join me on the adventure! What happens when you put 80 women — all passionate about STEMM, equality, and the state of our planet — on board a ship bound for Antarctica? In December 2018, we're hoping to find out. But we can't get there without your support. I’m a civil engineer living in Melbourne, Australia – just one of the 80 participants selected from around the world to take part in Homeward Bound 2019, an intensive 12-month leadership, strategy and science program for women in science set against the backdrop of Antarctica. The program focuses on the areas of leadership development, strategic capability, personal visibility & science communication, science collaboration, and reflective journaling. We (#TeamHB3 - the 2019 cohort) began our journey in sync with the 2018 cohort (#TeamHB2) departing for Antarctica. We are 80 women representing 28 different countries with differing backgrounds, and at various stages in our careers. We are all unique, yet like-minded in many ways. I am particularly passionate about women in STEMM and mentoring younger engineers as they begin their careers. Just one reason for this includes - women are emerging from college degrees as significant percentages of graduates and they take up a significant percentage of our workforce. However, they are in the profound minority globally when it comes to executive decision-making roles. What can be accomplished when you “equip a 1000-strong global collaboration of women with a science background to lead, influence and contribute to policy and decision making as it informs the future of our planet within 10 years? Absolutely anything! Please help support this international collaborative movement working to enhance the impact of women in STEMM and to address global environmental change. While much of the program investment per person is subsidised by in-kind donations, each participant must cover approximately US$16,000 (AU$20,200) of costs. All contributions, no matter how small, are greatly appreciated. Be a part of the fantastic journey! Follow me Twitter (@KristenHB2019) or LinkedIn. I’m a civil engineer, partner and mum. I’m an ice hockey fanatic (Pittsburgh Penguins! ), often get lost in a good book, enjoy travelling and fancy myself a pastry chef. I also love a good trivia night – I’m full of interesting, although not entirely useful facts. I’m also the first face you see in the #TeamHB3 launch video. I grew up in Boardman, Ohio, attended Boardman High School, then moved clear across the state to attend the University of Cincinnati – College of Engineering and Applied Science. Go Bearcats! Thanks in part to UC’s co-op program I took my first full time job at Brandstetter Carroll Inc., a regional consulting firm. My husband, and I caught the travel bug while at University. So after a few years of working in Cincinnati, we took a leap and moved clear across the globe to Canberra – never before having set foot in Australia. It was supposed to be for 2 – 3 years, but fast forward 13 years and we’re still in Australia, although now in Melbourne…much to the disappointment of our families in the US. I’ve always been a quiet achiever – putting my head down and getting on with the task – first at school then at work. However, that’s no longer enough, whether it pertains to my career or outside endeavours. A confident demeanour and greater public profile are needed – to not just grasp opportunities, but to create them. These are things that I have often struggled with. I am excited (and a bit in awe of) the 79 other women who are part of #TeamHB2019. I can’t wait to get to know them and see what we’re capable of accomplishing both individually and collectively. For a little more insight into who I am, check out my Homeward Bound 2019 video application here. Homeward Bound is a ground-breaking leadership, strategic and science initiative and outreach for women, set against the backdrop of Antarctica. The initiative aims to heighten the influence and impact of women with a science background in order to influence policy and decision making as it shapes our planet. To elevate each participant’s leadership capabilities. To refine participants’ skills to design and execute strategy, and to create plans for future collaborations as women working towards a sustainable future. To contribute to and elevate the broader societal conversation about the role of women in leading the world toward a more sustainable future. 12 month virtual leadership program – includes diagnostic testing, one on one coaching sessions, and seminars. At sea for approximately 3 weeks, led by Greg Mortimer OAM (2016 and 2018), setting sail from Ushuaia in Argentina – 31 December 2018. State-of-the-art leadership, strategic, science and visibility training delivered on board by Kit Jackson, Fabian Dattner, Justine Shaw, Mary-Anne Lea, Julia May, Sarah Anderson and other experts in their fields. Globally, women are underrepresented in leadership positions and change has been incredibly slow, despite increasing dialogue and process/systems changes. By giving these women the leadership and strategic skills, a sound understanding of the science, and a strong purposefully developed network they will be able to impact policy and decisions towards a sustainable future. For more information visit the Homeward Bound web site. Participation in Homeward Bound will be a one in a lifetime experience, but it will take a huge amount of support, determination and hard work to get there. 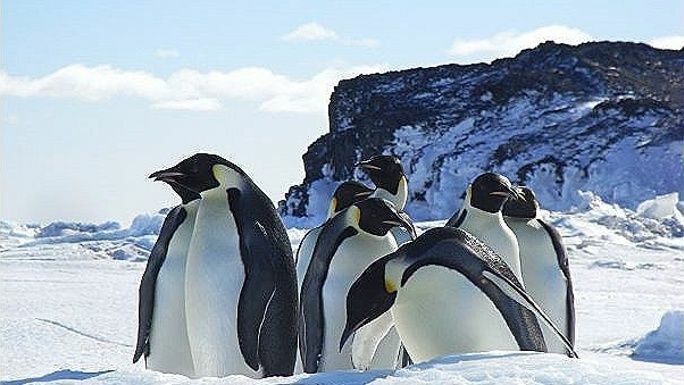 The total cost of the year-long leadership program, including the 21 day expedition to Antarctica is approximately US$28,000 (AU$35,500) per participant. Nearly US$12,000 (AU$15,300) is subsidised via in-kind (e.g. time, resources, cold weather gear, etc.) contributions. Individual participants are responsible for US$16,000 (AU$20,200) plus travel and insurance costs to and from Argentina. A detailed breakdown of the program costs can be found here, on the Homeward Bound web site. If I exceed my fundraising goal I will donate the surplus to the Homeward Bound scholarship program. The scholarship is used to provide an opportunity for women in countries most affected by climate change to participate in this global initiative. I want to use this opportunity to take you on this incredible journey with me and #TeamHB3. Any contributions – big or small – are welcomed with heartfelt thanks. All sponsors will be featured on my social media accounts (e.g. Twitter, LinkedIn, Facebook, etc.). Be the change. Support women in STEMM to change the world. Support, share, or choose a perk to help me set sail to Antarctica! I’ll email you twelve of the best (high resolution digital) photographs I take in Antarctica. I’m a pretty good photographer. If the pics Shaun Howard (my husband) took while at McMurdo are anything to go by – you’re in for a treat. His photos are features on this page. I’ll post answers on my blog on a monthly basis (at a minimum) to submitted questions. Topics can include Antarctica, engineering, STEMM, science, etc. I’ll also answer submitted questions on a daily basis – via videos or blog entries – while on expedition in Antarctica. Internet availability is limited while on ship, so they’ll be uploaded upon return to Argentina. I’ll come and share my Homeward Bound journey with you via either a formal presentation or webinar. The content can be tailored to suit your curriculum or needs. In person presentations to be within the following regions: Melbourne, Australia; Portland, Oregon; Cincinnati, Ohio; Youngstown, Ohio. Webinars are available for other locations. Est. Delivery Date: Estimated delivery date: 2018 - varies depending upon location - negotiable. * $54 in offline donations included in total.